Dinosaur Comics - March 30th, 2012 - awesome fun times! –I know! It's totally the book I was meant to write! 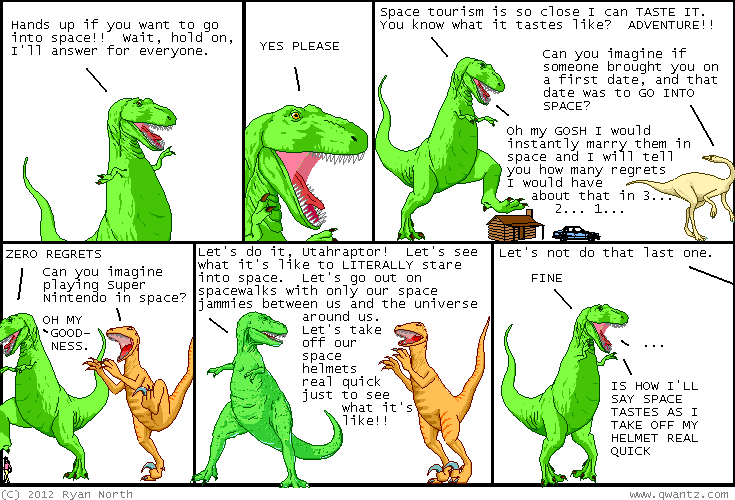 T-Rex In Space from Cambridge University Spaceflight on Vimeo. I'm at ECCC today! Come say "hi"!